Recently Lafayette Twp. hosted a special guest from the Louisville Metro Police Department. 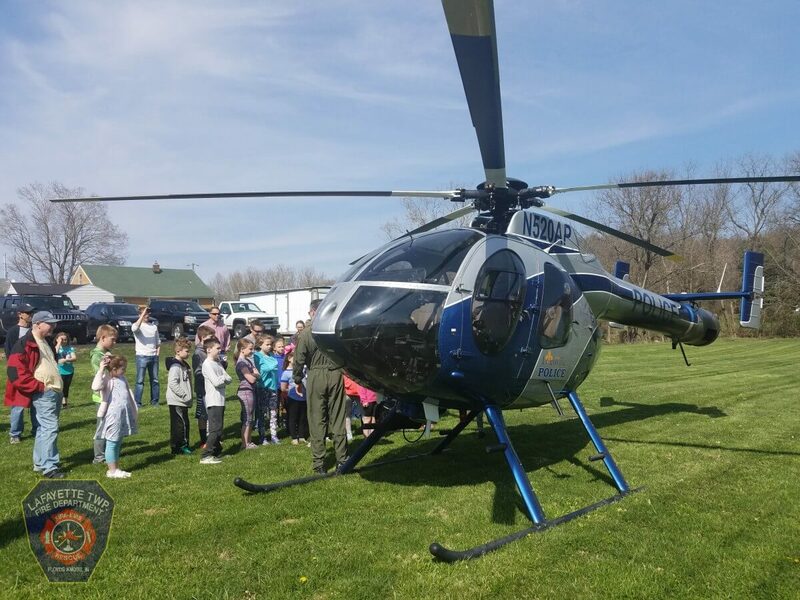 Thier Air 20 support helicopter came to visit special guests at the firehouse. 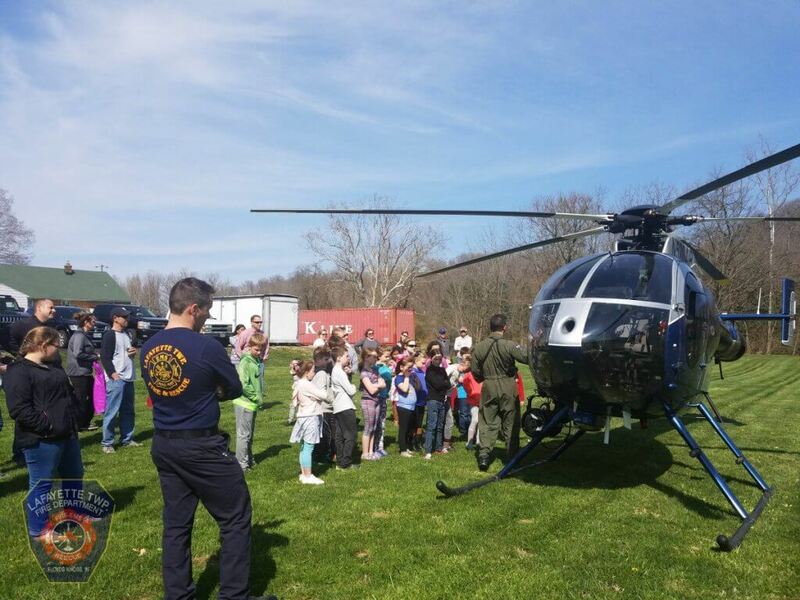 They learned all the ins and outs, special functions the helicopter has, and how it actually stays in the air. Thanks to the pilot, Detective Brian Arnold, for coming out and LMPD for allowing us to show it. 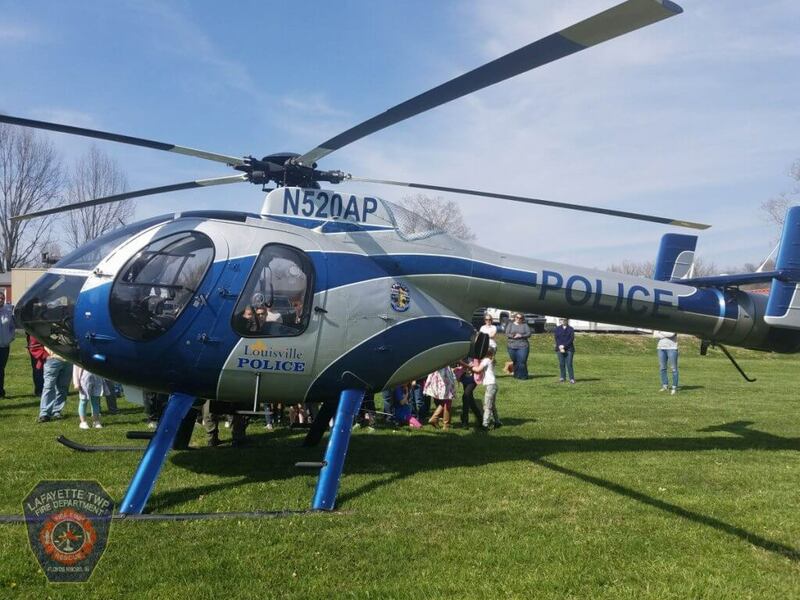 Special Note: LMPD Air 20 was used to get an overview of the recent woods fire at Highwater Rd in April.